To read these three recently published collections of Australian poetry is to appreciate the breadth of the field, the many different modes employed within it, and the individuality of its practitioners. Radically divergent in their interests, these poets nonetheless share a strong undercurrent of compassion in their work, even though it finds varying forms of expression. One early career poet and two established poets, these writers represent distinct moments in the practice of their craft, and each has their own recognisable politics. Yvette Holt takes up a kind of urban lyricism in her d?¬©but collection, Anonymous Premonition. Holt, a member of the Bidjara Nation and winner of the 2005 David Unaipon Award, presents an activist poetics of social justice, Indigenous rights and feminism. Arresting, often moving and sometimes cheekily humorous, Holt's words rely on a subjective and strident voice. Through the interlocution of the storyteller, Holt conveys the distresses of personal and communal history alongside the promises of the future. 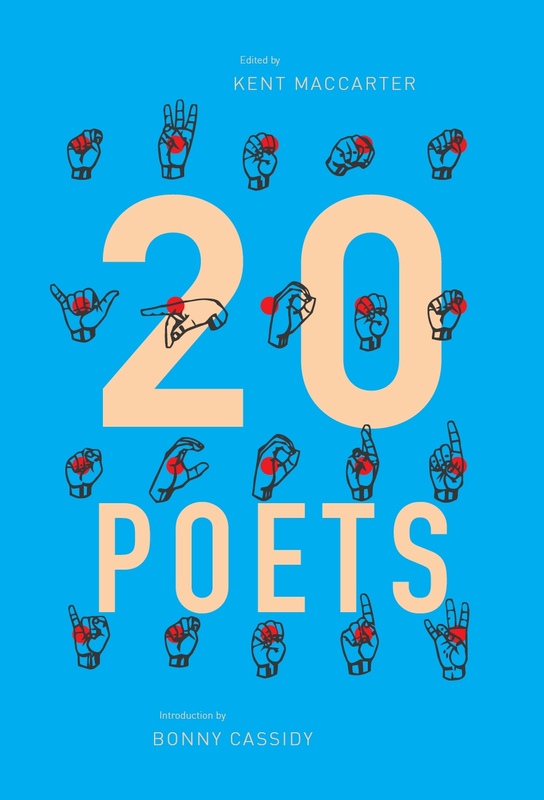 These poems privilege voice over textual form, employing rhyme, assonance, consonance, repetition and alliteration as ways of foregrounding the vocal act at the heart of this poetry. The urgency with which these lines resist punctuation (also evident in the movement implied by the progressive tense) is typical of the pace of this collection – no doubt inspired by the exigency of its politics. Here, in 'Win, Lose or Draw,' Holt uses poetry as a logic in its own right, leaving unanswered the accusatory challenge of the second person, which is effectively displaced by the deployment of symbolism – it is dissipated in those smoke rings and (almost literally) put to the side. The 'separate existence' cited here as the poetic realm, allows Holt to negotiate the inequality and the injustices suffered by Indigenous Australians at another level. Through her poetry, Holt mourns for the Stolen Generations, advocates for social initiatives such as 'Closing the Gap,' and registers the ongoing trauma of disinheritance. 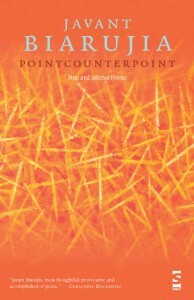 In pointcounterpoint: New and Selected Poems, Javant Biarujia takes on a very different linguistic project. Where Holt focuses on voice as a channel of communication, Biarujia focuses on the potency of the word as semantic unit and cultural signifier. With its innovative, restless poetics, pointcounterpoint simultaneously interrogates and celebrates the written word, engaging in (mis)translations, wordplay, puns, onomatopoeic lines, and linguistic imagery. Biarujia, erudite wordsmith and multilingual speaker, shifts through languages like gears, never letting his poetry settle in either linguistic transparency or aesthetic convention. As such, the reader may require at least one dictionary at hand (and, ideally, fluency in a couple of languages) in order to negotiate the scope of this collection. These are poems which register the importance of the epigraph and the intertext. In their interest in hieroglyphics, phonetics and etymology (not to mention double entendre, omission, deconstruction), these poems pursue the cryptic transfigurations of language. The influences of modernist aesthetics, postmodernist logics, L=A=N=G=U=A=G=E poetry, hypertext and the cultural and material spaces of painting, theatre and film can be felt in pointcounterpoint. Amongst this collection's myriad topoi are the politics and poetics of sexualities, the science of linguistics, the ethics of belonging, and the burden of existence. At the levels of the textual, the paratextual and the metatextual, this is a poetry that is interested in the notions of the original and the counterfeit, of reading and re-reading. The present is a cascading river and a sluice-gate. The present is in danger of slipping. The present is abrogation of the past and exaggerated indifference to the future. The presence is in its own hour; it cannot be padded like a chair or a book. – I love the late afternoon light, the word crepuscule even more. I love you. the pines across the river-. Like this potent present, poetry is also a realm of possibility for Biarujia, fomenting endless production. As the focus changes in 'Limousin' from image, to idea, to statement, to image, poetry is also constructed as embracing constant flux. The figure of the flautist disappears into the flickered twilight, the serpent's slough of cloud. (The desire to retreat between the virtue of day and vice of night is mere peasant superstition, fear of exile, ruination, collapse of the body.) The rational disappears, too. -Losing myself in the spontaneous overflow, from Aristotle's Poetics to Marjorie Perloff's 'poessays'. As much as I can. I forget the currents, finding my own level, above and below consciousness. -The West's great theme is Anxiety; or as Freud put it, dissociation. It drives politics, it controls peoples. Its libidinal element fuels armies (the West loves a man in uniform). It is a maze, full of ambages and blind-allies, wheels within wheels, wherein we have become lost, risk going mad and die. -the explorers' strange land, where style stood preontological to Hegel, & prephenomenological to Husserl; where the body was subjected to nothing more than an ozone-depleted Atlantide or the brunt of a bronzed sun in paradise. This partly ironic, partly prelapsarian Australia – which is also the New World – is certainly not the landscape of Martin Harrison's Wild Bees: New and Selected Poems. Although Australian landscapes and ecologies are sung through Harrison's poems, this Australia is not constructed as imagined or idealised (though it is a poet's picture). Rather, Harrison presents Australia as a tableau of minute details. With neither the subjectivism of Holt's book, nor the heightened self-reflexivity of Biarujia's, Wild Bees is a collection which maps its world with poetry that operates like a microscope. Often logging coordinates such as wind, birds, land and water, Harrison's poems place an analogous emphasis on their own formal features. Where his early work is heavily rhythmic, Harrison's recent poetry relaxes in movement, but retains the impressively acute line, which is evident even in prose pieces. The bronzewings' quality, of being situated in the country whilst being able to transcend it, is also a feature of Harrison's poetry. Most often, this multi-directionality is achieved through similes – the most predominant formal mechanism in Wild Bees – which create parallel landscapes to shadow local antecedents. bushes are wallabies, swivelling their ears. Through my hair, hot wind's flooded creek. in an eye-blink over the Silver City Highway. There are countless examples throughout Wild Bees of this bifocal gaze, where external and internal landscapes cohere; where country and city intersect. Often registering changes in climate or light, or almost imperceptible movements, Harrison's poetry gives you the sense that his pen lies in wait for these moments of new or sharper focus, which this poetry is undoubtedly captivated by. Across the work of all three poets, it is possible to appreciate a complex negotiation with 'ordinary space,' which plays out at many levels – from the real, to the abstract, and everywhere in-between. 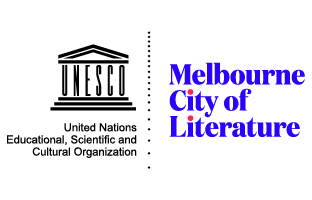 Bridie McCarthy is a writer and researcher living in Melbourne. This entry was posted in BOOK REVIEWS and tagged Javant Biarujia, Martin Harrison, Yvette Holt. Bookmark the permalink.